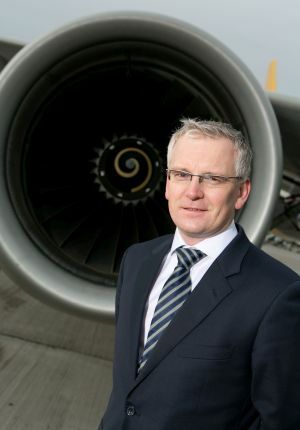 It is just over two years since M.A.G acquired London Stansted Airport and in that time we have seen the airport take on a new lease of life; with a £260m five-year investment programme fully underway, new destinations coming on stream every month and passenger numbers growing from strength to strength. From day one M.A.G’s ambition for Stansted was to reverse five years of declining passenger numbers and transform the experience at the airport by investing in the terminal and attracting a richer mix of the airlines to serve the burgeoning East of England and North London catchment. Our first port of call was to invest in the terminal and embark on an £80 million two-year transformation programme. The programme has been a major success with a new 22-lane security hall opened ahead of schedule in December 2013, the introduction of fast track facilities and new shops and restaurants opening every month. By the time the project is complete later this year, Stansted will benefit from a 70% increase in seating, over 40 new retail outlets and a transformed passenger experience. We have also kept a close eye on the needs of the business passenger. In April, we opened a new business lounge offering passengers the opportunity to catch up on last minute business or dine in comfort before taking flight. The lounge has already surpassed our expectations, attracting 9,000 customers in the first month, with plans to look at more lounges in the future. On the airline front, we have signed long term deals with Ryanair and easyJet, welcomed new carriers to the airport like FlyBe who now offer up to 42 flights a week from Stansted. This summer Thomas Cook launch new long haul charter flights to the US and Mexico – the last time we offered this choice for passengers was back in 2008. But by far one of the biggest improvements at the airport has been the increase in flight frequency, particularly to key business hubs. For example, you can now choose from over 28 flights a week to Barcelona and Milan providing choice and convenience to the business passenger. And our ambitions do not stop at Europe. We are working tirelessly to attract full service scheduled carriers to Stansted so they capitalise on the close proximity to growing innovation and life science business clusters in Cambridge and East London. We must be doing something right as passenger numbers have increased massively from 17.4 million in February 2013 to 21.1 million today. In fact, in the first three months of 2015 the airport welcomed nearly one million more passengers during the period than in 2014, with March alone seeing a whopping 24% increase in passenger compared to the previous year. Stansted is now firmly placed as the fastest growing major airport in the UK –perhaps even Europe too – serving 170 destinations across 38 countries. However, in my view Stansted still has a lot more to give to improve the UK’s connectivity with the rest of the world. As Sir Howard Davies puts the finishing touches to the Airports Commission Final Report, it is worth reminding Government and the business community that airports like Stansted with available runway capacity today still have a significant role to play in closing the UK’s aviation capacity gap. Stansted has permission to grow to 35 million passengers per year (mppa) but could handle in the region of 42 mppa off the single runway – the only runway in south east with capacity to grow. I agree there is a pressing need for more airport capacity in the South East, and recognise the need for prompt and decisive action to deliver a new runway by 2030 by which time all of London's major airports will be operating at full capacity. Past experience from Manchester Airport suggests that it will take at least another 10-15 years to deliver a new runway, and significant challenges will need to be overcome as the proposals are taken through planning and regulatory processes. However, as a country we need to be working on much more than just how we deliver a new runway. Demand for air travel, particularly from the business community, will continue to grow by an average of 7-8 million passengers every year in the period to 2030, and severe capacity constraints at Heathrow and Gatwick will mean they will not be in a position to make a meaningful contribution to meeting this additional demand.